Now in its 12th edition, Brunner and Suddarth's Textbook of Medical-Surgical Nursing is designed to assist nurses in preparing for their roles and responsibilities in the medical-surgical setting. This leading textbook focuses on physiological, pathophysiological, and psychosocial concepts as they relate to nursing care. 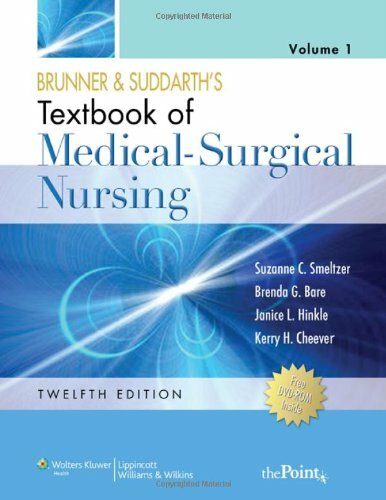 Brunner is known for its strong Nursing Process focus and its readability. This edition retains these strengths and incorporates enhanced visual appeal and better portability for students.